myrtle and pepper launched in 2016 and in our short years we are fortunate to have received some pretty special industry accolades. 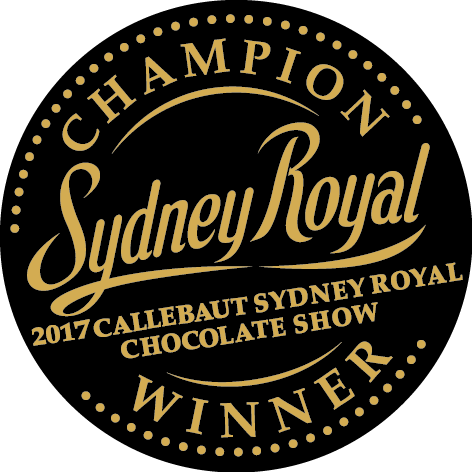 the winners of numerous gold, silver and bronze medals at the Callebaut Sydney Royal 2017 and 2018 and Australian fine food awards 2018. we are especially honoured to have been awarded the overall competition champions of the callebaut royal sydney chocolate show Consecutively for 2017 & 2018.
we initially entered the competitions to receive feedback from the highly respected industry judges and guage where our products sat in the australian market. the feedback has resulted in better products for our customers and we’re delighted.